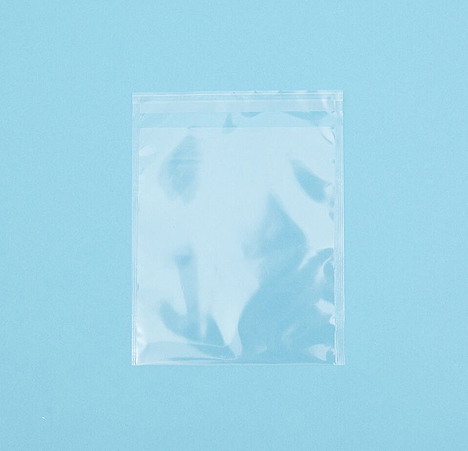 Side crimped bottom folded clear bag available with or without a bottom gusset. Do you want a stronger alternative to the side weld bag? 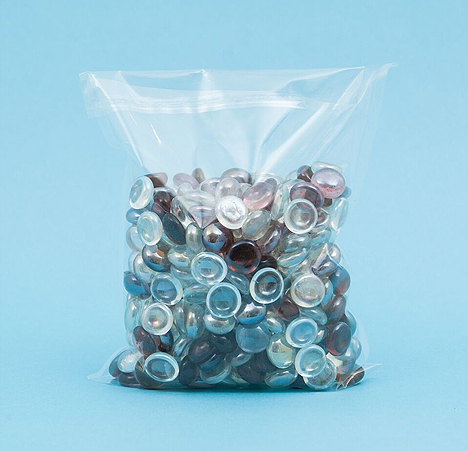 Do you want a pouch style bag without paying a premium price? Do you want to have print all over the front and back of your bag without having to leave room for a seal? If you answered yes to any of those questions, then our Crystal bag could be just what you are looking for! 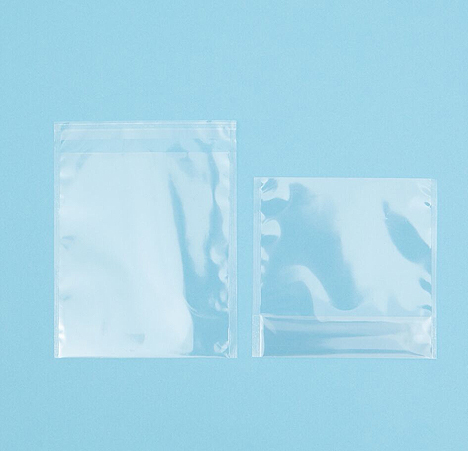 Flat skirt crimp welded bags with or without a reseal lip. 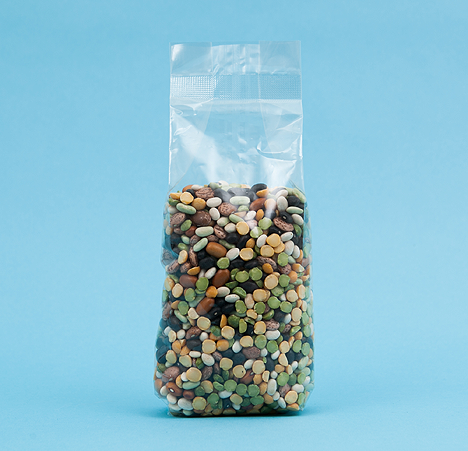 This is a very strong bag that can be used for pretty much any application including various food products. Pouch style bag that is the same as the above option but with a bottom gusset with provides a pouch like effect. 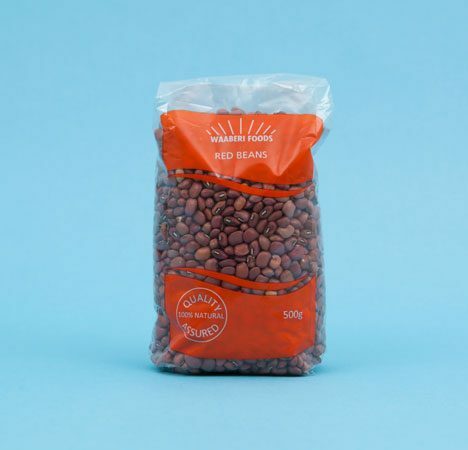 This allows the bag to stand up on its own and is therefore ideal for products going straight on the shelves. This innovative new product can be plain or printed and can be made to your specific requirements in terms of dimensions and thickness. The maximum width we can make is 600mm and the maximum length is 300mm. Stock range available in 40mu Polypropylene (OPP), please call for details. 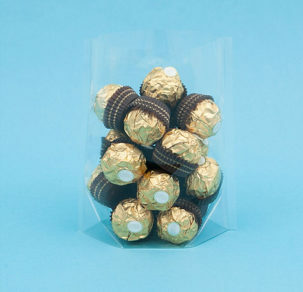 An economical way of packaging, the Crystal bag is very competitively priced so get in touch now for a free quote.